Originally established in 1984 by executive chairman David Kobritz, the business has grown organically over the years and has become one of the most respected names in the property industry. The small team has completed 16 projects since 2011, such as Polaris 3083. The development is the perfect example of the benefits of urban renewal in Melbourne’s inner north. The site, which had fallen into disuse, now has a vibrant retail precinct with a supermarket, Dan Murphy’s, and 26 retailers which service both the Polaris apartment residents and the local neighbourhood. With a vision like this, it’s only natural the company jumped at the prospect of turning a crossing level nightmare into a residential precinct which will provide value for the whole Glen Iris community. 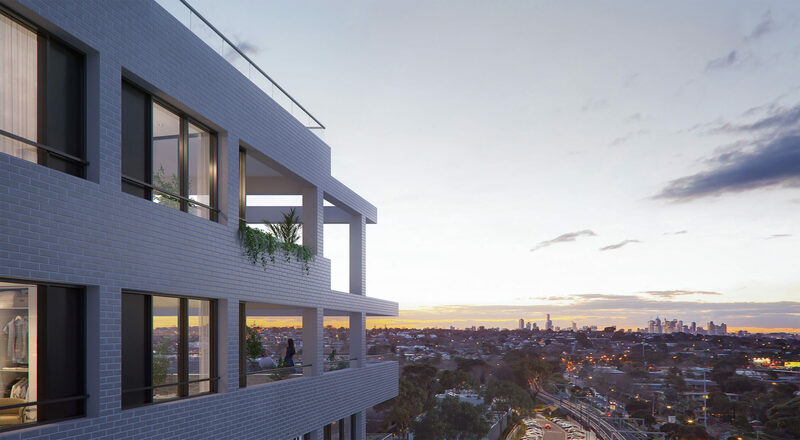 Named The Residences at Glenarm Square, the development is set to deliver a collection of one, two and three bedroom homes designed by award-winning studios Plus Architecture and Hecker Guthrie. Residents have access to exclusive shared amenities such as a fully equipped gymnasium and 20-metre indoor pool, as well as a communal lounge and business hub. In addition to the 2,700 sqm site, there will be 1,000sqm of public retail and commercial space, spread over two levels. The north-facing plaza will deliver new office spaces, eateries and other modern amenities for both residents and commuters passing through. “As a developer, it was critical for us to create new community connections at Glenarm Square, as well as apartment solutions,” David says. “The site acts as an access point to the plaza for both the surrounding residents and those who will live in the building.